If the idea of heavy competition for your new business has you sweating nervously, now is the time to rethink how you see competition. Competition, regardless of your business model, is healthy. While you assume that having no competition would lead to success, having a good level of competition could take your business further than an empty market. To stand out as the leading authority in your industry, you need competition. A competitor helps you assess your company’s strengths and weaknesses, so that you can use those in your unique selling proposition and overall branding strategy. Also, your business will start focusing on your most important aspect: the consumer. When you have a competitor offering similar services or products, it comes down to who is more consumer-centric. 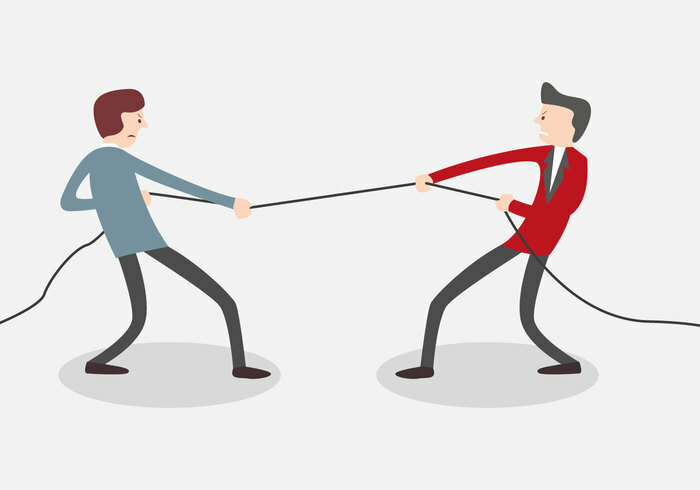 That competition forces you to consider your customer’s wants, needs, and pain points. By identifying them, you can design a brand that resonates better and encourages more people to buy from your company. Per the FTC, one of the biggest advantages to competition is that a competitor’s prices force you to be inventive. You will look for ways to lower manufacturing costs, increase your profits, and spread those savings to consumers. Also, competition helps you look at the user’s needs, and develop new products or services to accommodate them that your competitors do not offer yet. Trends come and go, but when your business has competition, you know that you are in an industry that is trending, relevant, and in demand by consumers. You can create an alliance with a like-minded company. Then, exchange tools and advice to expand the market. You then cross-market one another’s products, collaborate, and more. Every market is unique, but with competitors in the same industry as you, the mixture benefits the economy. Competition prevents you from letting barriers keep you from entering new markets. How has your business competition helped your company or franchise venture thrive?